The Boy Scouts of America, Alamo Area Council is striving to provide you with a good source of local Scouting news! Please consider us your new and growing online newspaper. 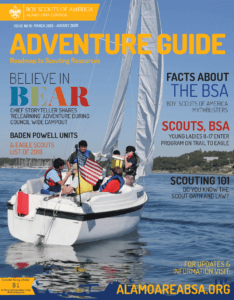 We cover Council News in this section and encourage the Scouting community to participate by sending us tips, story ideas, stories and photos. Email us at Enews@AlamoAreaBSA.org.